This was a delicious dinner. I love the slow cooker. We had a lot of activity going on at home today. 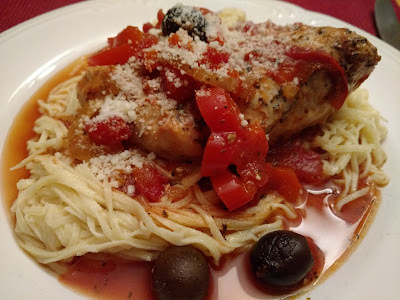 The slow cooker enabled us to have a fantastic meal with little work. 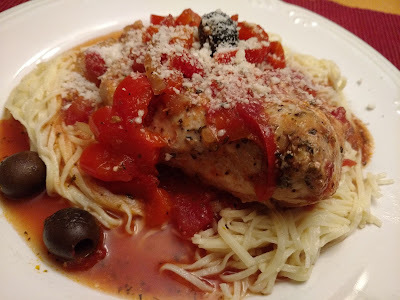 I found the recipe for Slow Cooker Chicken Cacciatore on fitslowcookqueen.com. I used all chicken breasts for the recipe. 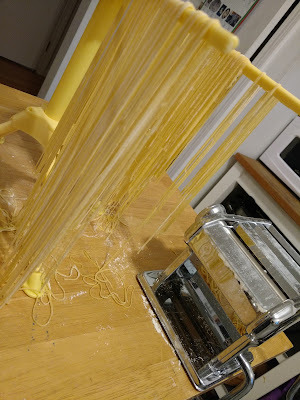 Of course, there was a lull in activity so I took advantage of the time and made some homemade pasta. The recipe I always use for pasta is from Tide and Thyme.